Owned and operated by the Jenkins family in Parksville Qualicum since 1985, Longhouse Specialty Forest Products is renowned for adhering to sustainable forest methods. Thereby, the company is dedicated to preserving the longevity of Vancouver Island’s old growth forests. Why is this important? Because they are a family-run company that cares about present and future generations and consistently live by this code. Brian’s wife’s family began milling wood in Qualicum back in the 1890s and the Jenkins clan soon followed in the 1920s. Today, Moila Jenkins is Operations Manager and their daughter is Assistant Sales Manager. Owner/Operator Brian Jenkins and his family bring an amazing depth of knowledge as the primary unfair advantage that Longhouse presents over competitors. Not only do they distribute direct anywhere in the world, but the business is in control of product quality every step of the manufacturing process. Clients have received finished product as far away as St. Petersburg, Russia, and New York State. They also give the highest dollar value for their product by selling directly to the end user. Jenkins passionately maintains that his company leaves a smaller carbon footprint than other mills simply due to the fact that every phase of manufacturing takes place in their facility. There is no need for additional trucking or middlemen. From custom millwork to custom coatings and kiln-firing, all the work is completed on one property. The progression of Longhouse to adding on a final process—pre-staining—gives them another huge advantage over competitors. You will be hard pressed to find another business that does it all, including pre-stained cedar siding, with access to the best supply lines. Longhouse does it all at cost and that translates into the best price for the customer. Longhouse Specialty Forest Products maintains the coveted FSC® (Forest Stewardship Council) certified by the Rainforest Alliance since 2007. The FSC® is a non-profit organization that uses third party certifiers. As a consumer, when you purchase FSC® certified wood products, you can rest assured that the wood is sourced from FSC® certified forests. 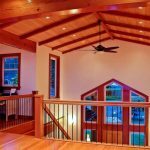 The company is also a proud member of The Victoria Residential Building Association, the Canada Green Building Council, and The Greater Vancouver Home Building Association. They also belong to the South Island Woodlot Association. An additional competitive edge is their mill delivers projects direct to any address, worldwide. With objectives to increase sales five-fold over the next five years, this family business is fast becoming a major player on a global scale. Indeed, Longhouse presently boasts facilitating over 14,000 projects globally in the construction and design industry. Jenkins states that Vancouver Island provides the most high grade softwood in the world. 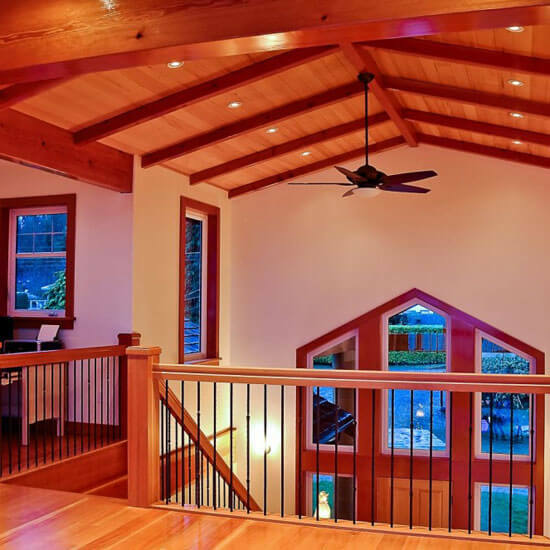 Although they specialize in Western Red Cedar, Longhouse also works with all interior and coastal softwoods, such as yellow cypress (cedar), Douglas-fir, Pacific Coast hemlock, and spruce pine fir (SPF). Specialty products manufactured by the company range from custom cut yellow cedar decking, solid wood flooring, cedar fascia and soffits, different varieties of FSC® certified cedar siding—both sourced from Vancouver Island’s coastal rainforests, Japanese grade spruce siding, white oak flooring, and Douglas Fir products (flooring, timbers, and beams). Longhouse Specialty Forest Products are harvested, milled, and finished on Vancouver Island. Their fine products are integral to a coveted eco-friendly and viable modern-style building. Photographs of completed projects displayed on the web site reveal striking natural beauty. The future for this family business is dedicated sustainable growth and the future is, and always will be, green.